Roman Mosaics Across the Empire is an exhibition at The Getty Villa until the 12 September, 2016, curated by Alexis Belis, assistant curator of antiquities, The J. Paul Getty Museum. 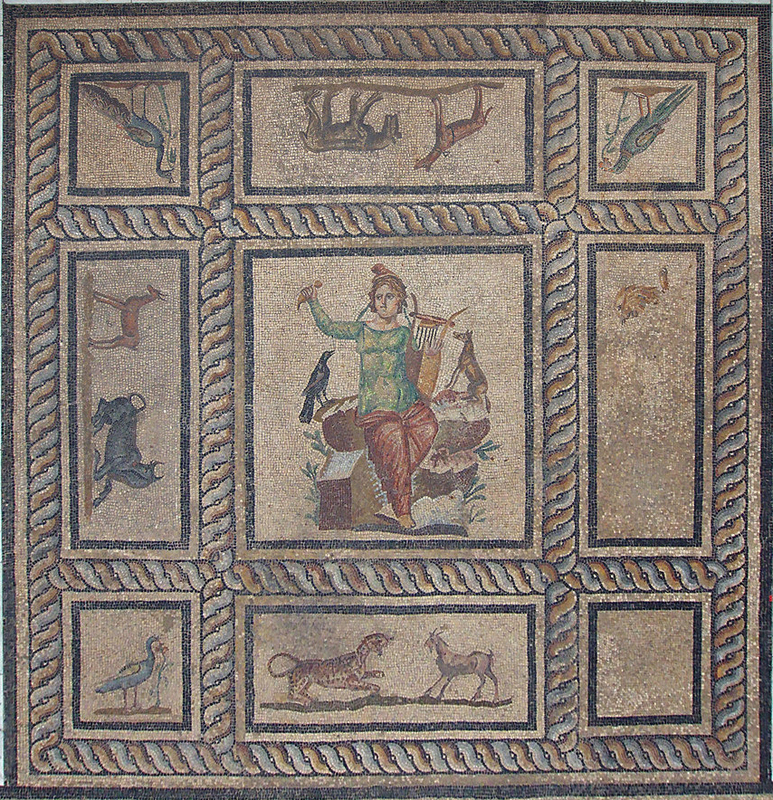 The aim is to provide an insight into the considerable artistry of mosaic floors, which were an essential element of luxury living’ during the Roman Empire, for which the decorative and narrative function of their subjects mattered. A villa in ancient times represented for its owners an ideal of Arcadia, a legendary long-desired perfect environment in the mystical mountains of Greece. It was perceived to be a place where humans would be able to strive and achieve a state of bliss characterized by freedom from or oblivion to pain, worry, and the external world. 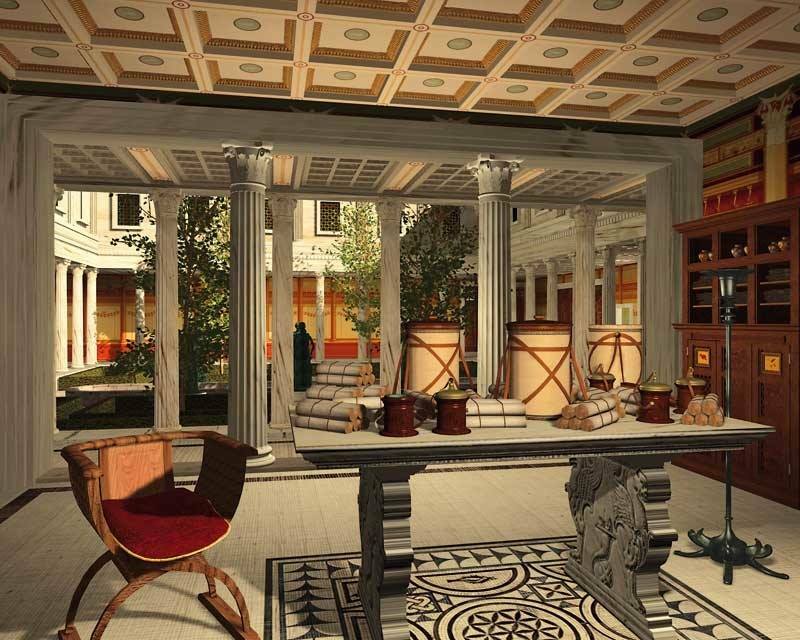 The Patricians of Ancient Rome established Villa culture in their desire to enjoy the coveted pleasures of country life, a place where one can dwell “under the tent of heaven”. The Getty Villa is an extraordinary concept, which was constructed 1970-1974 by businessman and philanthropist J. Paul Getty. He had his architects base its layout on that of the Roman Villa dei Papiri, which had been partially excavated at ancient Herculaneum in southern Italy after 1738. 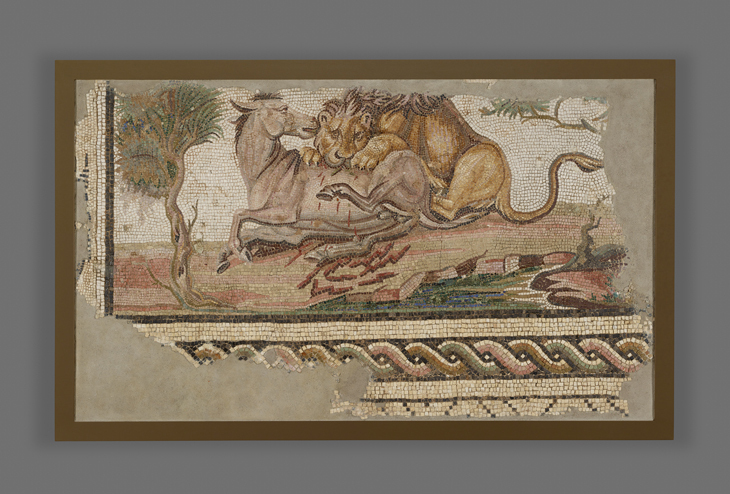 “These important mosaics provide a glimpse into the richly embellished architecture of the ancient Mediterranean world,” says Jeffrey Spier, senior curator of antiquities at The Getty Museum. Mr Getty was fascinated with the ancient world and wanted to produce an ideal setting for his art collection, one that would ensure that visitors would feel as if they had been invited into an intimate domestic scale setting to view and enjoy his art. 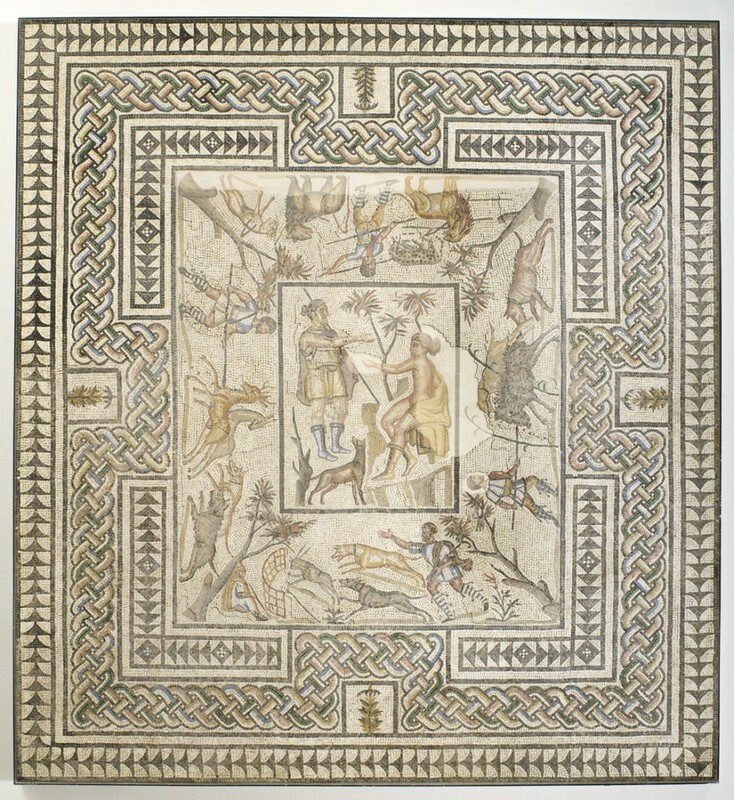 Gallo-Roman mosaics with figural compositions, inspired by themes from literature illustrate stories from Ovid’s Metamorphoses and Virgil’s Aeneid, are framed in the four corners of one Roman mosaic floor on display. It once graced a Roman patrician’s Villa. At the centre is the legendary gifted minstrel Orpheus, who attempted to rescue his dead wife Eurydice from the Underworld. 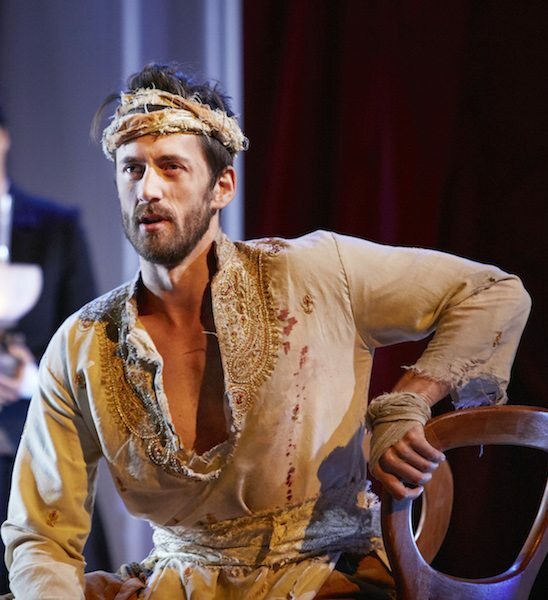 He is depicted wearing a Phrygian (or Thracian) style fisherman’s cap, a form of headwear that down through history came to represent freedom from oppression. The collection J.Paul Getty gathered came from different historical periods and places with a concentration on Greek and Roman antiquities. It also seemed appropriate to him to create an integrated educational and cultural experience for all ages in such a fashion. From that day to this the Getty Villa has served as ‘a gateway to the classical past for students, scholars, specialized professionals, and general audiences’. Providing a counterbalance between urban values, accommodation and economy, a Villa decorated with mosaics was inspired initially by a style of Greek house. This had been developed five centuries before the Christ event, in which an inner court or atrium open to the sky was surrounded by rooms filled with frescoes, mosaics and with vistas, either real or imaginary. The art of mosaics originated in the form of pebble pictures that ornamented the floors in this the only architectural type of domestic building that has remained virtually intact since ancient times. 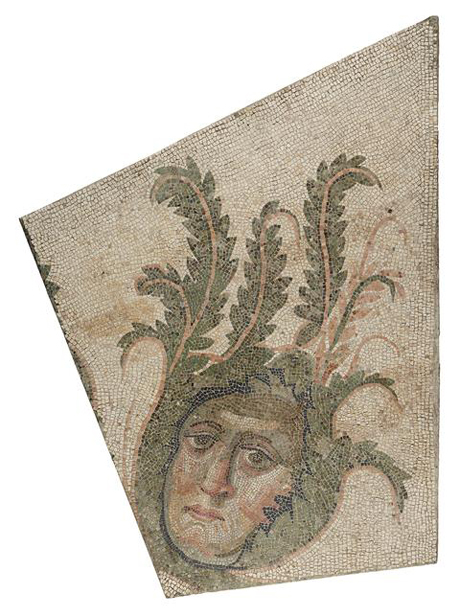 “This exhibition presents the largest and most impressive mosaics in the Museum’s collection, some of which will be on view for the first time” Potts said. He also observed that ‘… the rich colours, intricate decorative patterns and vivid depictions of scenes from mythology and everyday life, are almost as fresh today as when they were first made two thousand years ago’. 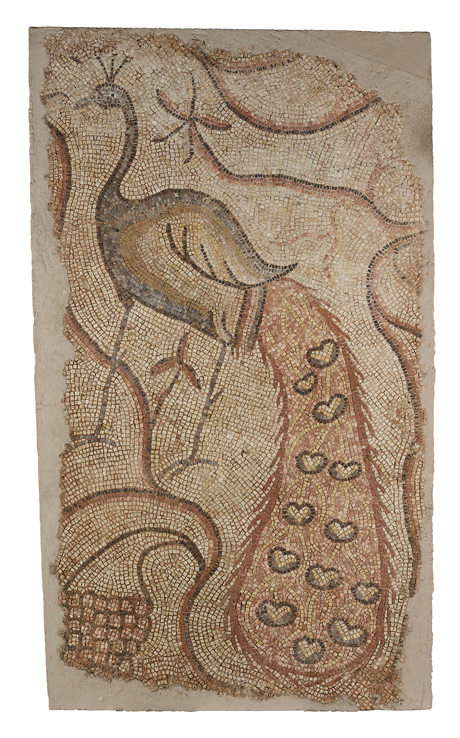 This exhibition will place mosaics into the context of Rome’s expanding Empire from its centre in Italy to its provinces in North Africa, to southern Gaul (modern France), and ancient Syria. Simple or with elegant geometric patterns and grand scenes, the examples of mosaics on show are brilliantly conceived in a design sense and superbly executed using high quality craftsmanship. In his Villa any Roman man and his family and friends were emboldened to enjoy the healthfulness of the air. He also had an opportunity for exercise, undisturbed intellectual and creative activities, leisurely conversation and the delights of contemplating the natural and cultivated landscape in different seasons and conditions. Mosaics certainly enlivened interior spaces reflecting the status, concerns and ambitions of the wealthy patricians who commissioned them. They were made for private villas and for decorating public baths when Rome was at the height of its power and influence and were also used for storytelling in churches after Christianity became the official religion of the Empire in the east. The helped to educate the mostly illiterate public by visual means with scenes from mythology and daily life, such as The Hunt a topic that will be showcased alongside scenes from nature. Then there are mosaics of great arena spectacles, which the populace once enjoyed, illustrating the different styles of mosaics that developed across the breadth of the Empire. 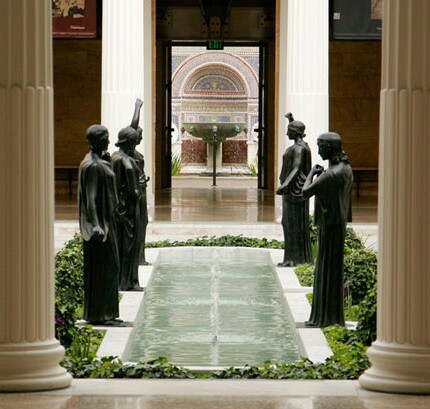 Admission to The Getty Villa is always free; an advance, timed-entry ticket is required. Parking is available, price per car.